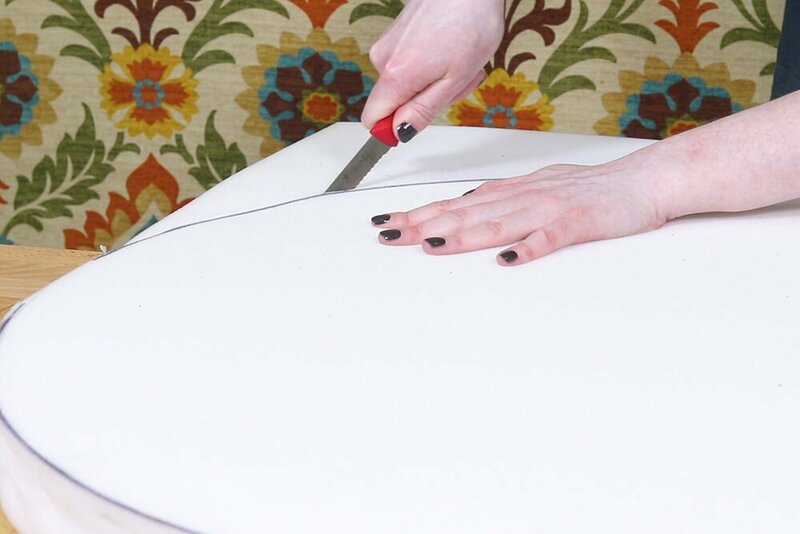 Foam can easily be cut with a serrated knife or electric knife, like the kind for cutting turkey. If you want to cut foam professionally, it’s worth investing in a foam cutter like the ACU 350 foam cutter which has two blades to produce a fine, reliable cut. 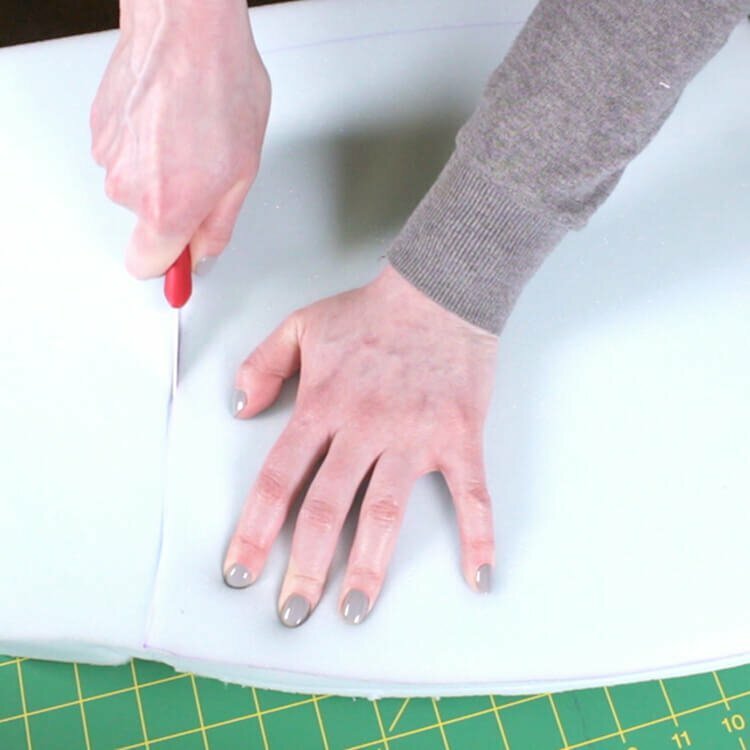 Here are some tips for cutting foam. 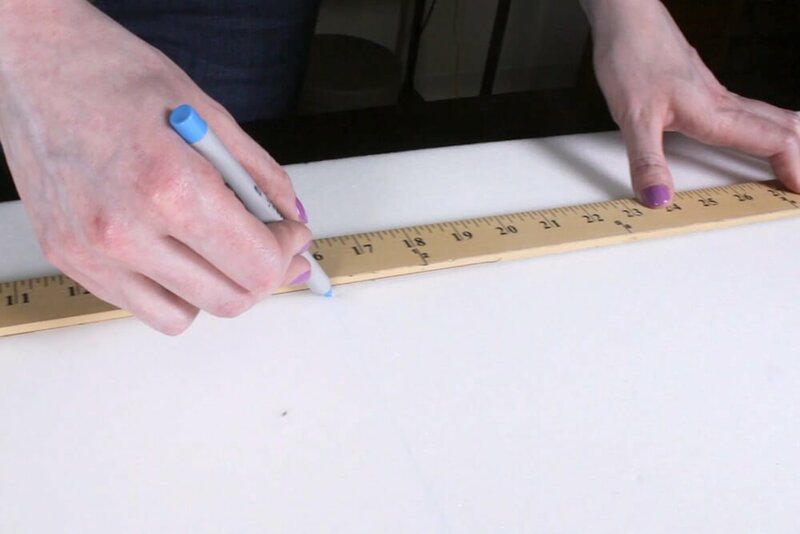 To get a square cut, mark the foam on both sides. 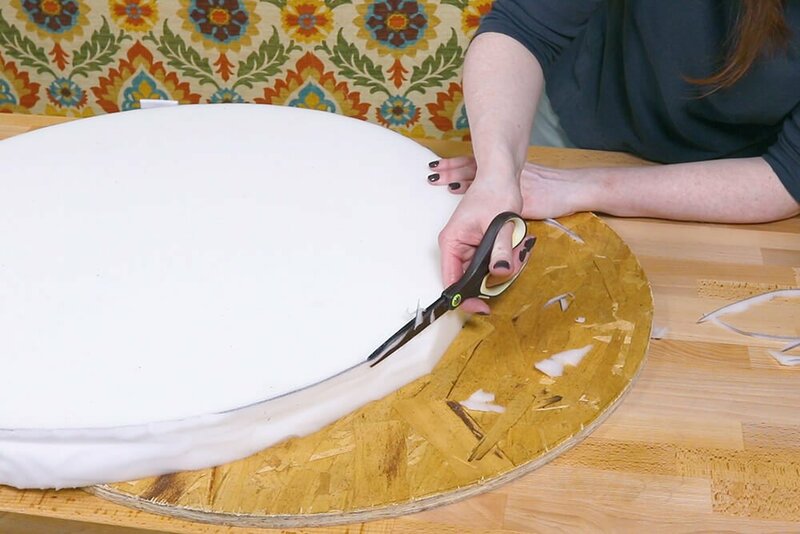 Cut about halfway through the foam, then flip it over and finish cutting all the way through. You can also cut on curves. 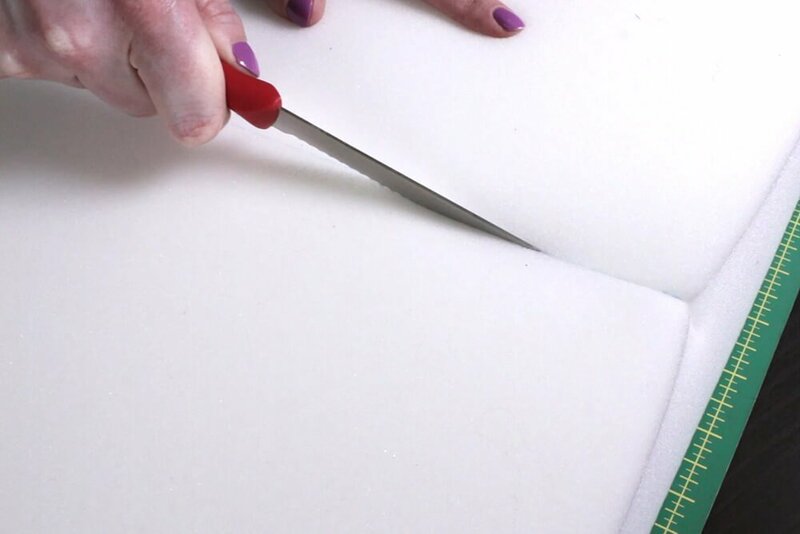 Foam is often covered in padding, so don’t worry too much if the cut looks a little messy. 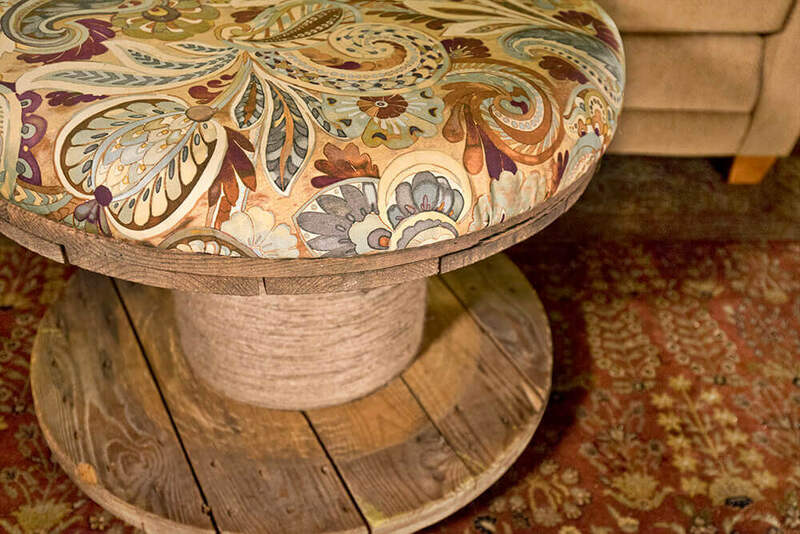 You can use scissors to trim the foam or if you want to create a rounded edge. 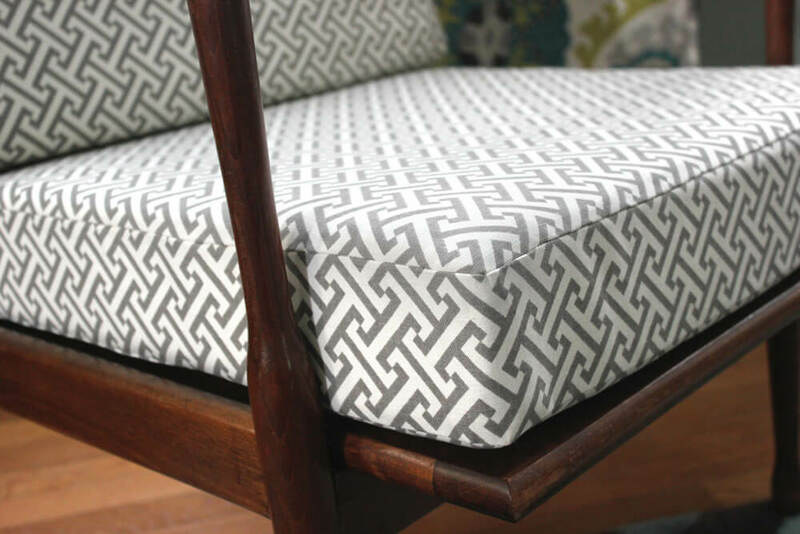 Learn how to make a box cushion with a zipper. Check out our selection of foam. 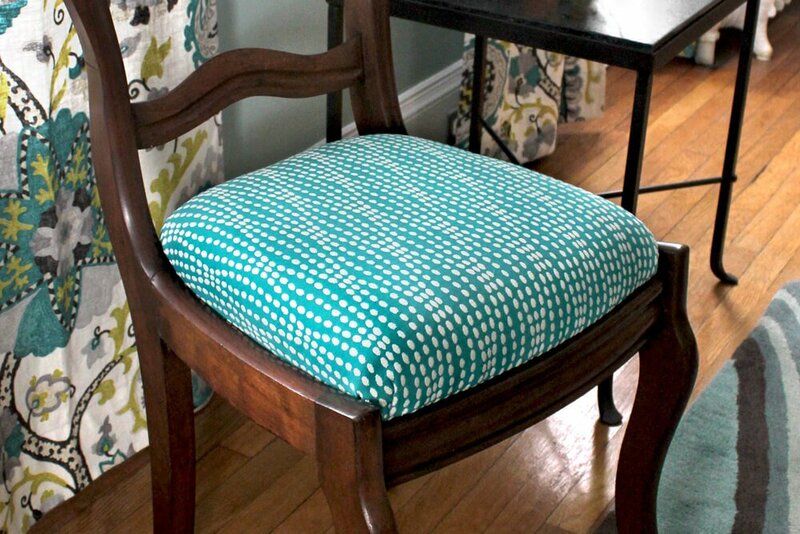 I am redoing my dining chairs. Can you send samples and how do I measure the foam?? ?